Every little child wants to sit in a chair like mom and dad, now they can with their very own rocking chair or glider. We have several different styles for you to chose from, such as Mission, Shaker, and Colonial, plus much more. Let your child rock away while reading their favorite book or rock away so of their energy. 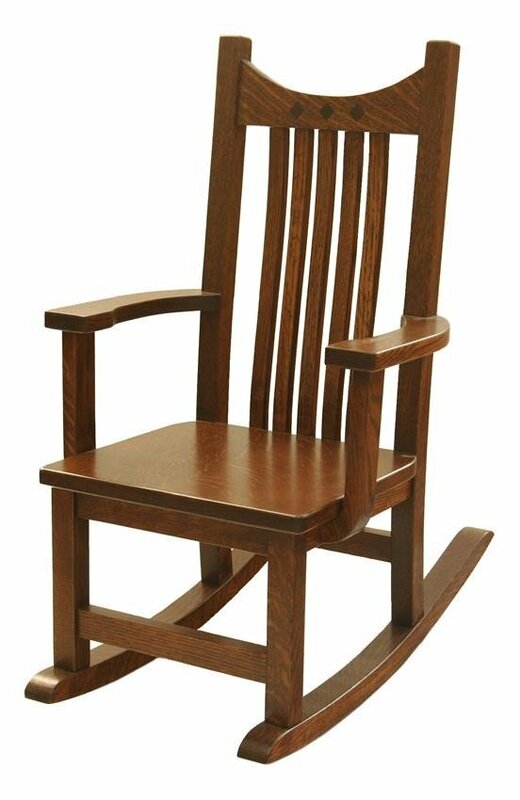 All rocking chairs and gliders are handcrafted by Amish craftsmen and built to last many years. Our chairs are made from solid wood, from oak wood to cherry wood. Shop for your design today. If you need any help please contact one of our furniture specialist at 866-272-6773. Featured in the picture above is one of our popular kids' rocking chairs, the Amish Royal Mission Kids' Rocking Chair.